Today's weather was just like yesterday's, and I was grateful because today was my long run. This week, I started week five of Hal Higdon's Novice 2 program. 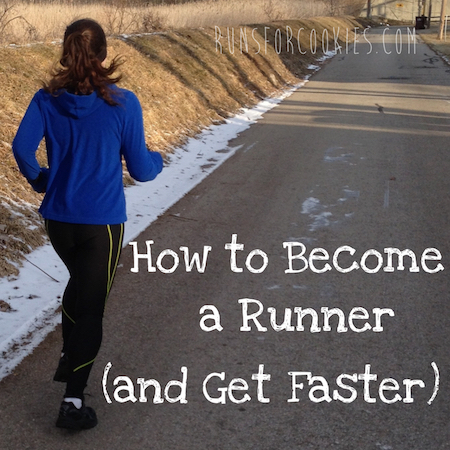 I would consider myself an advanced runner, but I really don't want to do speed work right now, and I liked the idea of going back to the basics, so I decided to go with the Novice 2 program. I'll probably start doing speed work again this winter, on the treadmill. Today's long run was eight miles. I briefly thought about recreating my very first eight-miler, but the route wasn't saved on Garmin Connect (just the distance and time). I remember I ran the neighborhoods around here, but that's it. My first eight-miler was probably my proudest moment in running--even more so than my first marathon! I'd attempted it twice in the couple of weeks before that, but I just couldn't complete it. The first time, I made it 7.5 miles and nearly had a heat stroke. The second time, I just wasn't feeling it at all, and it was all I could do to get in 5.5. I had been craving carrot cake something fierce, so I decided to buy a big slice of carrot cake, and only eat it after I'd completed the eight-mile run. I felt super determined to get it done that day! So I hydrated well, woke up early, and headed out. I did my best to go the distance, and I did it! 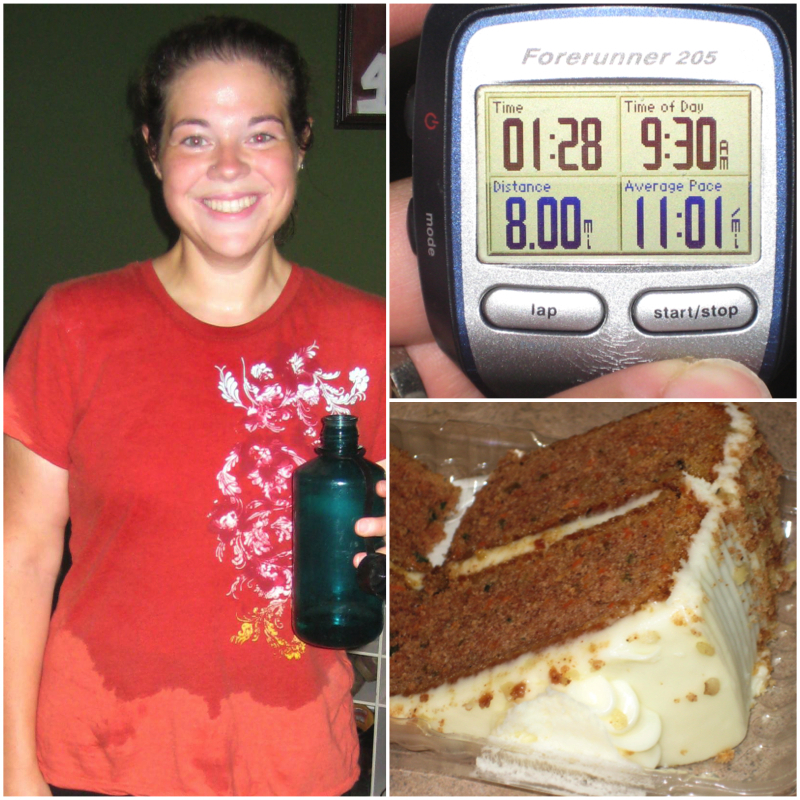 I ran an 11:01/mile pace, and after I showered, I ate a big piece of carrot cake. 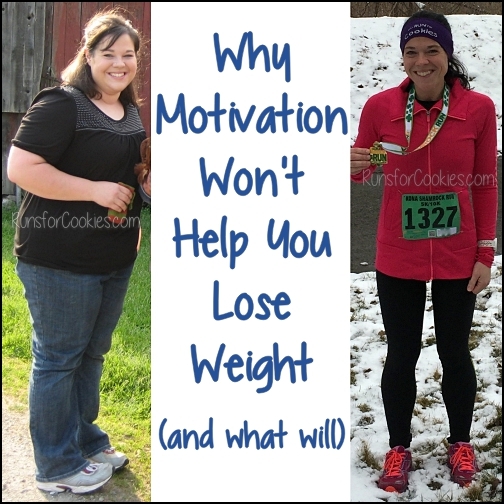 This morning, I thought about going to Monica's Bakery to get a piece of carrot cake for after my run, but something I've learned about myself through intuitive eating is that sweets just don't sound good to me in the mornings. I love sweets, but I don't really desire them until the afternoon. So I just figured I'd wait and get something this afternoon if I really wanted to. I had a couple of pieces of sourdough toast with butter and a glass of milk this morning before getting the kids off to school. Then I decided to drive into town to run along the River Raisin. I don't normally like to run that route because there are a few traffic lights, but I was really craving some different scenery. I chose a lollipop route that went along the river, then through a park, and then back along the river. I didn't have a "real" goal for this run, but in the back of my mind, I was hoping to run all sub-10:00 miles. 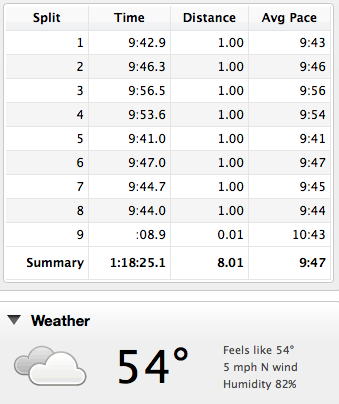 The first couple of miles felt good, and I thought the sub-10's would be a cakewalk. But miles three and four were tough, and I was trying not to give up on my sub-10's so soon. Miles four and five were on gravel, which is harder to run on, but I managed to keep pace. Once I hit mile six, I knew I could do the last two. It was a little discouraging to see how hard this pace felt--a little over a year ago, my long runs were at an 8:45 pace! 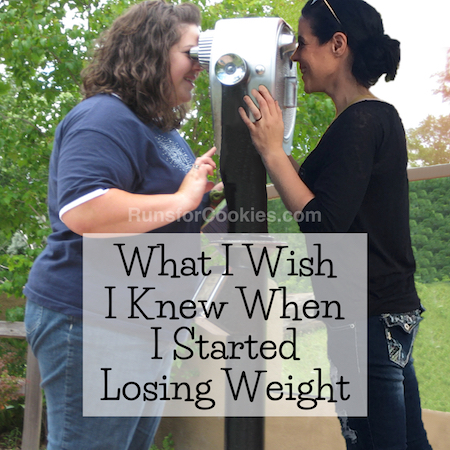 But I've been trying not to compare now vs. then, because it makes me feel bad (just like with my weight). So I'm going to set new goals and be happy when I reach them (like today's sub-10 goal) rather than focus on the fact that I used to be much faster. Today, I felt awesome when I finished my run! The weather played a large part in that, but I also felt great because I pushed myself to reach the small goal I'd had in mind. Speaking of goals, with vacation and then going to my brother's wedding, I'd completely forgotten to set a goal for September. 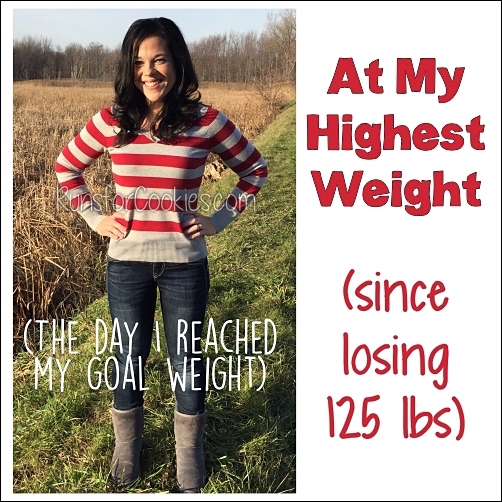 For August, my goal was to eat all of my meals at the dining table--and I did it. I ate every single meal at the table, and even though the month is over, I've continued to do it. 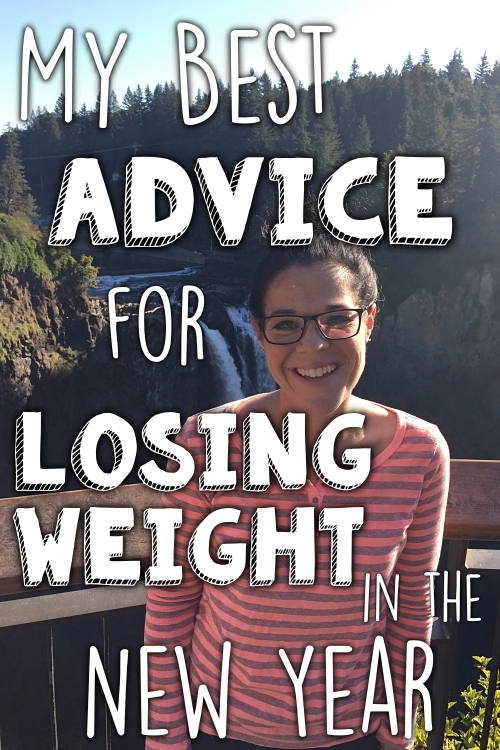 It really helps with the intuitive eating! I've realized that I'm starting to disassociate the couch with eating, or watching TV with eating. So now when I sit on the couch, I don't automatically start thinking about food. My goal for the rest of September is just to stick with my running plan. 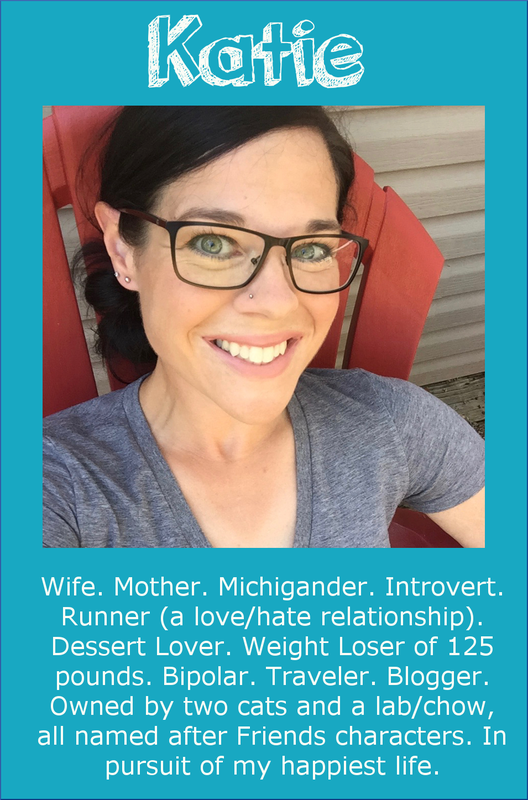 There were several weeks this summer where I didn't do a long run, which was fine--I wanted to give myself a break from a structured plan--but now that the weather isn't so hot and humid, I want to get back to a regular schedule. Even though the summer was short, it feels great to get back to a routine! I love to hear about your intuitive eating journey. I bought the book on your recommendation and am really enjoying it. Thanks! 8 miles is my favorite long distance! I did 7 today after a week off and I'm stoked that I feel good. I did my first half last weekend and I probably should have got back on the road sooner. I read your blog almost every day that you post but commenting sometimes doesn't work right using my iPad. Thanks for being inspiring.